The Preventive Cardiovascular Nurses Association has developed these Familial Hypercholesterolemia handouts for nurses and other health care providers to use with patients. Join as a member today to take advantage of member pricing. 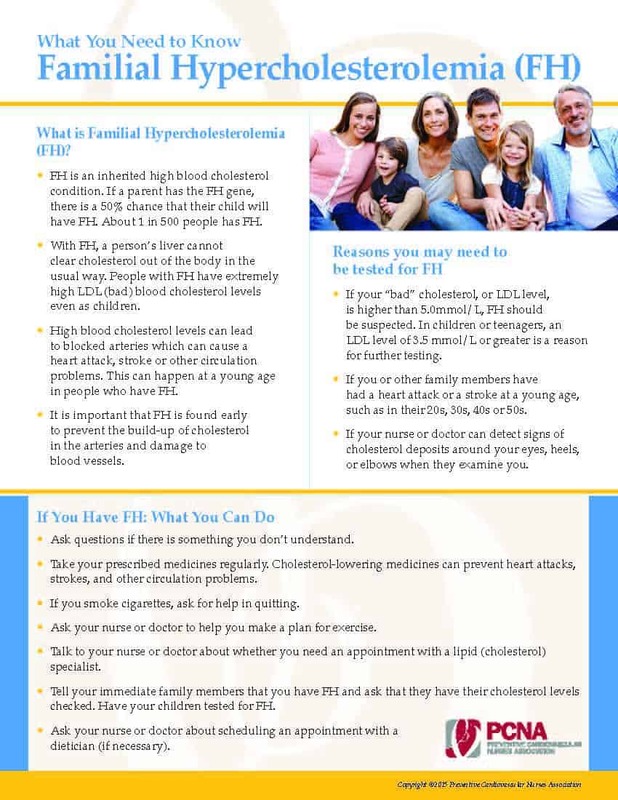 With a focus on awareness, prevalence, causes, and risks of Familial Hypercholesterolemia (FH) this tool is especially helpful for those with or at risk for FH. As an autosomal dominant disorder, all first-degree relatives of people with FH have a 50% chance of having FH as well, making family education and screening an important for early detection and disease management.